1. Engage the staffs to take up golf as part of the in-house recreation sport programme. 2. Intensify the use of golf as a business tool for networking. 3. 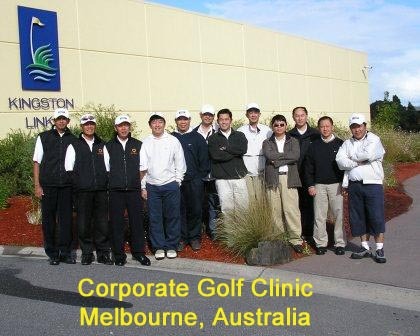 Improve their golf proficiency to play competitively with their clients. 4. As a rewarding program for their valued customers and business associates. 5. In conjunction of company function such launching a new product or services. 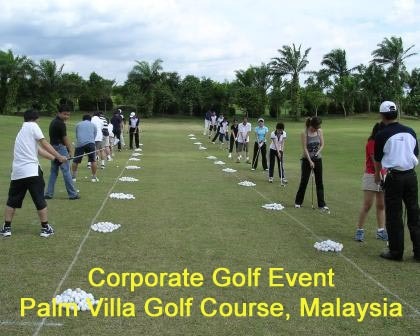 Every corporate golf seminar and lesson programme is specially designed to meet the company’s event objectives. The company does not need to engage an event organizer to prepare separately the itineraries for the golfers and non-golfer. 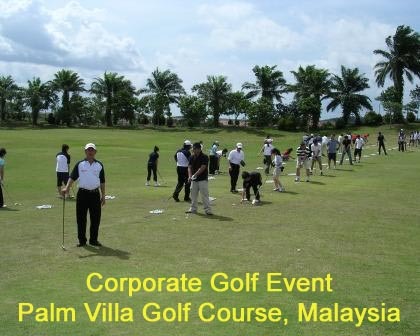 In most cases the non-golfers from overseas will be scheduled for excursion. All the staff and guests will be at the golf course area so that they can spend more time meeting other business associates for future networking. All participants will be attended by our golf professionals all the time in all area of golf learning, enhancement and improving lessons. They will also be entertained by our selected professionals to perform trick shots. The non-golfers will learn the golf swing technique in the range, chipping and putting and Rules of golf. On completion of the lessons, the non-golfers will have for the very first time play on the course, assisted and attended by our professionals. An experience that is very hard to come by. 1. How to select the right iron clubs? What golfers need to know? 2. How to select and buy a driver to get your optimum tee-shot? Why is it important? 3. Understanding the ball flight law can help golfers to draw or fade the shot performance. 4. How to lower a current player’s score? What golfer should intensify? 5. Etiquette and Rules of golf. 6. Mental skills for golf. An additional side benefit of such an exclusive event is the bonding of the participants, and the intra-organization networking. The staff and guests will be given the patience, passion, technique and comprehension not only to see their real physical potential but fulfilling the perseverance and courage to be a proficient and complete golfer. Our requirement is the staff and guests arrive in golf attire ready to work seriously for recreational fun and enjoyment. Two (2) weekdays (from 8.30am to 5.30pm). We need a minimum of 10 participants to start this programme. Fee depends on the number of participants and the selected golf course green fees. Price for Green fees, buggies and meals will be quoted separately. Players are required to use their own golf clubs during clinic lessons. Golf clubs for hire are available for starters/beginners.